I would never play rd5e in a live game, but in a postal game we don't have to instinctively shun risky-looking moves. If it checks out that chessandgo loses any race, then rd5e seems to do better for us materially than ce7s. After looking at some sharper lines ( rd5e instead of ce7s ), I lean towards a moderately optimistic stance regarding the rabbit race; maybe we should spend some time investigating this option - we do have enough time after all. By the way, does 40s Hg4n ef4e Ch3s dg3e hold water? Your suggested move 40s looks about as strong as the alternatives, but the argument that we have time grows less persuasive each time we dip into reserve. We're coming into an endgame that will be tricky even if we are up CRRR for H or we are up RR straight. We're headed for the endgame paradox that even though our lead is clearer than ever, one blunder could be deadlier than ever. Yes, 99of9, I think the post-mortem is premature given that one of the options on the table (and apparently the one that people are leaning towards) has barely been analyzed. What about this line? Sure, we are up by two rabbits, but how strong is his goal attack relative to ours? I don't know. I feel like I'm voting in the dark more than I have felt in a long time, and that may just be a feature of endgames where the slightest slip is fatal. With our elephant centralized his goal threats don't seem to work. Though as you say, it's rather close to disaster. Yay, it actually chooses one of the same moves the humans do. Basically the above means that at a depth of 16 and 17 steps from the current position opfor prefers rd5e over ce7s. Personally though I'm still favoring ce7s since I don't trust opfor's goal racing ability at all. Heh, that's the first time I had the mob game window open when the move was played. It was a bit startling. Wow Ce7 won 6-4. It may be that we have rejected the objectively stronger move in favor of a safer-looking move. The only way I see out of the dilemma is increased analysis to show that the strong move really is safe, but my time was limited this past weekend, and other folks (except warren) were pretty quiet too. We chose to push our cat forward 6-4. A close vote and there was still some room for more discussion, but it seemed like much of TheMob had made up its mind. I wound up voting for rd5e after a bit more analysis. Seemed to be the stronger move and I couldn't find a way for Chessandgo to beat us in a race. I think we may have rushed the vote this time, but what's done is done. ce7s shouldn't lose us the game, but it might have prevented us from a quicker win. I actually thought about the rabbit option before reading the full thread, and was happy to see other adherents. But as a junior player, I lack sophisticated arguments for it. One of them is simply the basic principle of avoiding to get your rabbits pulled by elephants! It brings bad luck, IMO. I play with my guts... And I'm out of shape! But I can tell you what I feel just to throw some wood at the fire. I feel like our rabbit is in a bit of a danger, and also might be more useful at the south-east region. The cat move is good, but I think it could wait for one or two rounds. Just as an afterthought, I am happy with the choice to move the cat simply because it puts a second defender one step closer to c6. This saves us a step of time in case an immediate counter-attacking dog thrust is what c&g has in mind. If that is the case, this extra step will be useful if we play the tactic e->e4, H->f4; we can use it to get our dog out of the way to g4 so counter-capturing it becomes impossible. It's just an idea I have. I'll take a surer victory over a quicker one any time. Just thought of this... thankfully it wasn't a tie. How would we resolve with only 2 choices? We could vote again while we continue to discuss. I was certainly wavering, and others might have changed their minds as well. 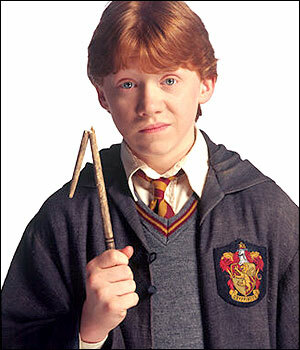 Also, for the re-vote RonWeasley could have refused to close voting until there were exactly eleven voters. We could go into overtime, and start a postal match between the two antagonizing and angry factions of The_Mob! We could also allow people to cast fractional votes based on the strength of their opinion.